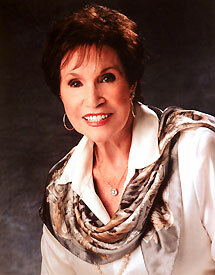 Jan Howard was one of the most popular female vocalists in country music during the 1960s. She is best known for her 1966 hit “Evil on Your Mind,” written by the legendary songwriter Harlan Howard, with whom she was married at the time. She is also known for her spunky, blunt, no-nonsense personality. Long a mainstay of the Grand Ole Opry, Jan remains a highly respected singer and songwriter who has influenced many younger artists, especially women. Jan Howard was born as Lula Grace Johnson on March 13, 1930, in West Plains, Missouri. She was the eighth of eleven children born to a poor farm family. Jan Howard singing at the George Jones Tribute Show along with other female stars including Jeannie Seely, Emmy Lou Harris, Leona Williams and others. She married when only 15 years old and had three sons before she was 20. After that marriage and another failed, she moved with her children to Los Angeles in 1955. There, she picked up jobs as a waitress and secretary. 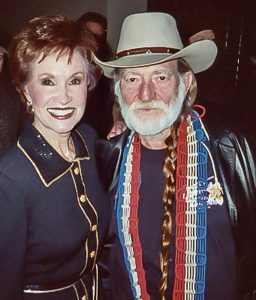 In 1957, she met a young, talented songwriter in LA named Harlan Howard, who was on the verge of early success in the music business. The two married one month after meeting. Unlike most country artists, Jan initially did not have ambitions to be a singing star. She sang merely to pass the time while doing chores around the house, like many regular folks. However, Harlan encouraged his new wife to pursue a career as a country singer, convinced that she had an outstanding voice. Jan sings Harlan’s “Pick Me Up On Your Way Down” in 1959. Jan launched her own recording career in 1959, mainly with duets recorded with Wynn Stewart. The tunes failed to generate much notice. The following year, in 1960, her recording of “The One You Slip Around With” rose into the top 10 on the country charts. 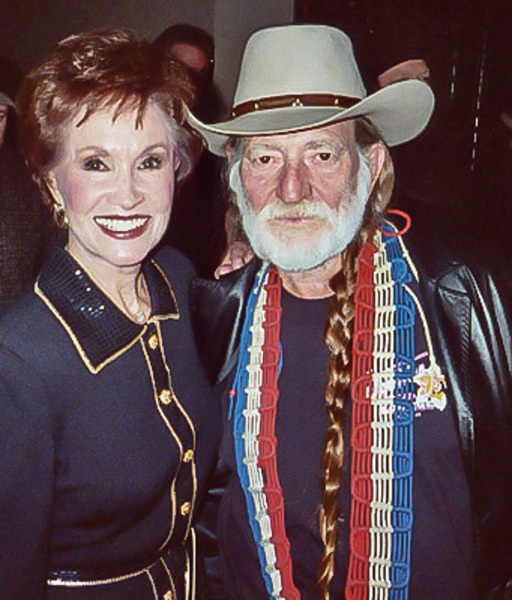 She also sang for the first time on the Grand Ole Opry in 1960. This initial success prompted Billboard to name Jan country music’s Most Promising Female Artist. Her next hit came in 1963, with “I Wish I Was A Single Girl Again,” which cracked the top 40. In 1965, Jan released her first records on the Decca label. It was on this label that she would achieve her greatest success, beginning with “What Makes a Man Wander.” “Evil on Your Mind,” in 1966, peaked at number 5, making it the biggest solo hit of her entire career. The hit became her signature song. Her next release, “Bad Seed,” also made it into the top 10. Jan’s 1966 recording of “Evil on Your Mind,” her biggest solo hit. Also in 1966, Jan’s recording relationship with “Whispering” Bill Anderson began. The duo recorded and toured together, and Jan appeared regularly on Bill’s television show. They charted several hits through the early 1970s, including “I Know You’re Married (But I Love You Still),” “For Loving You” (a number-one hit in 1967), “If It’s All the Same to You” (a number-two song in 1969), “Someday We’ll Be Together,” and “Dis-Satisfied.” Jan and Bill received Country Music Association nominations for Vocal Duo of the Year in 1968, 1970, and 1971. Bill Anderson and Jan Howard perform their number-one hit “For Loving You” in 1967. Jan’s solo hits from 1967 to 1972 included “Roll Over and Play Dead,” “Any Old Way You Do,” “Count Your Blessings Woman,” “I Still Believe in Love,” “My Son,” “We Had All the Good Things Going,” “Rock Me Back to Little Rock,” “Love is Like a Spinning Wheel,” and “Let Him Have It.” Jan was inducted as a member of the Grand Ole Opry in 1971. Unfortunately, as her career was peaking, her marriage to Harlan was crumbling. The couple divorced in 1968. In addition to her successes as a singer, Jan has written a number of hits—for herself and others. Most notably, her 1968 hit “My Son” was a tear-jerking recitation song inspired by a dream she had about the death of her eldest son, Jimmy, who was fighting in the Vietnam War at the time. Tragically and astonishingly, Jimmy was indeed killed in battle two weeks after the song’s release. Her performance of the song was nominated for a Grammy Award in 1968. Other hit songs that she wrote or co-wrote include “It’s All Over But the Crying” (a hit for Kitty Wells in 1966), “I Never Once Stopped Loving You” (Connie Smith, 1970), “Love is a Sometimes Thing” (Bill Anderson, 1970). Tammy Wynette, Conway Twitty, and Johnny Cash are among the other artists who have recorded Jan’s compositions. In 1973, Jan’s youngest son David committed suicide. After this second personal tragedy, Jan scaled back her career. She even considered quitting the music business permanently. However, she released a few albums over the subsequent years and scored some minor hits through the rest of the ‘70s. Altogether, from 1960 to 1978, Jan charted 30 songs on Billboard’s country charts. In 1987, Jan released her autobiography, titled Sunshine and Shadow, published by Eagle Publishing. 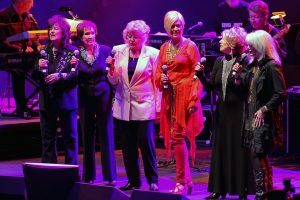 Jan has continued to sing on the Grand Ole Opry stage and occasionally in other concert venues, including performances with her longtime friends Jeannie Seely and, until her death in 2016, Jean Shepard. Jan and Bill revisit “Dis-Satisfied,” their hit from the early 1970s, in the 2000s. The song was written by the duo along with Jan’s son Carter. Jan’s first new recording in several years came in 2017, when she appeared with Seely and Jessi Colter on a remake of the song “We’re Still Hangin’ In There, Ain’t We Jessi.” The song, which Seely originally recorded in 1977, was included in its new version on Seely’s album Written In Song. 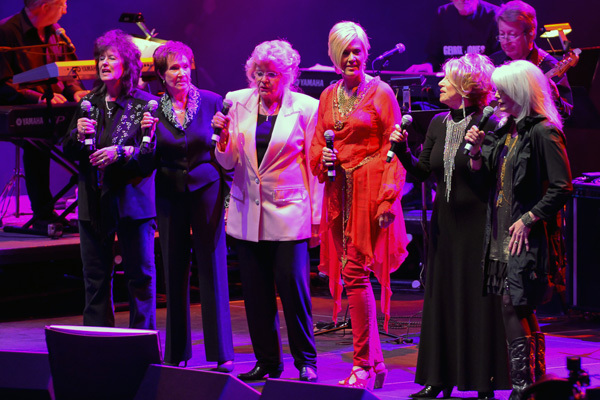 Jan Howard and Jessi Colter lend their voices to Jeannie Seely’s “We’re Still Hangin’ In There, Ain’t We Jessi” in 2017. Interview with Jan Howard: Classiest Lady in Country Music. Digital Journal. March 23, 2014.